Do you add pinnable images to your blog posts? 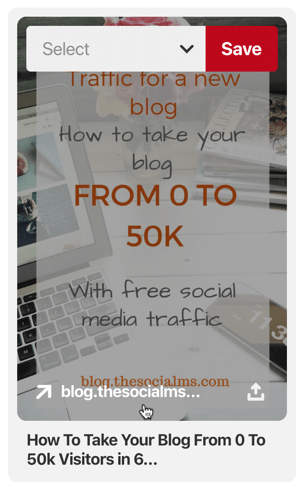 Are others using your images to drive traffic to their own content? 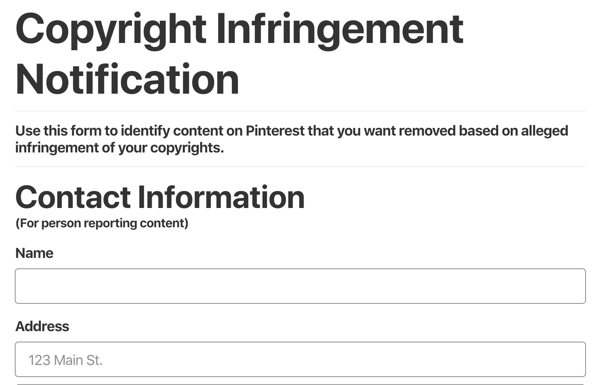 In this article, you’ll learn how to identify and report copyright infringement for your pins on Pinterest. 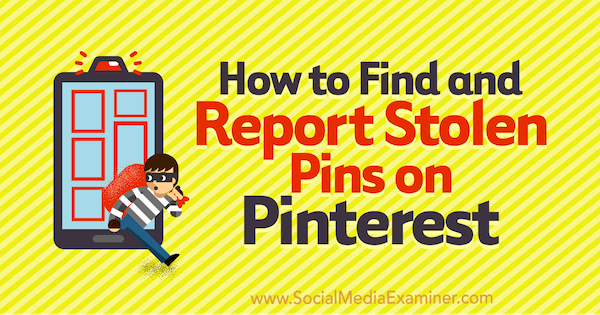 How to Find and Report Stolen Pins on Pinterest by Susanna Gebauer on Social Media Examiner. What Are Stolen Pinterest Pins? 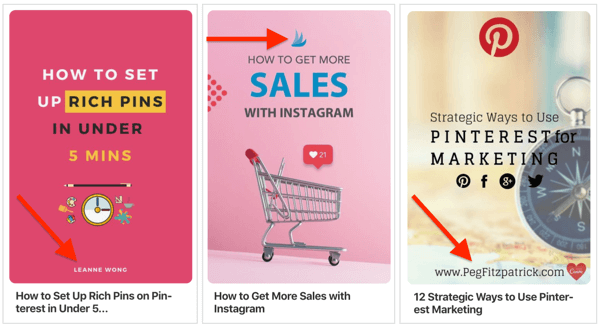 Have you ever discovered one of your pins in your Pinterest feed, but it’s linking to the wrong content? 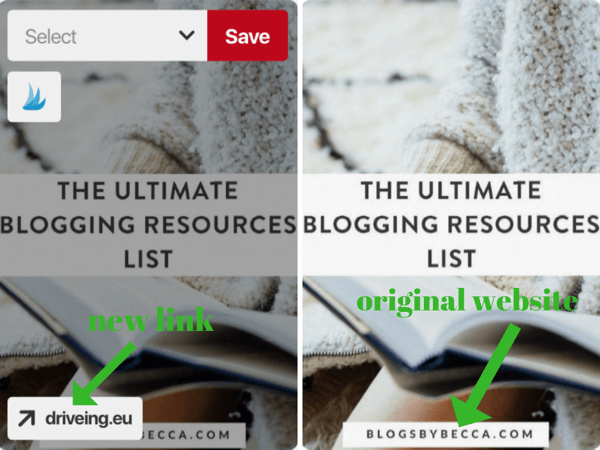 A stolen Pinterest pin is when another pinner takes one of your images but relinks it to their content. They’re using your brand, hard-earned reputation, and the marketing power your pin has already earned to push their own website. Having your branded pin link to a shady website can hurt your brand and reputation and make people lose trust in you. Why Are People Stealing Pins? If one of your pins starts spreading on Pinterest and receives a considerable amount of repins and clicks, the stolen pin relocates some of that marketing success to the website it now links to. Because Pinterest knows it’s the same image that already earned visibility, it will keep showing that pin to pinners. The reasons for stealing a pin are basically what marketing is all about: traffic, branding, trust, and SEO power (because every pin is a link back to a website). The people who steal pins want all of that marketing success without working for it. How Can You Identify Stolen Pins? If you hover your mouse cursor over a pin in your Pinterest feed, the website the pin links to shows at the bottom of the pin, as shown in the image below. If you see one of your pins but it doesn’t link to your URL, you’ve found a stolen pin. Be careful when you repin pins from your Pinterest feed. Make sure you aren’t pinning stolen pins and giving them additional marketing success. With other peoples’ pins, you can compare the link that shows when you hover over the pin with the branding of the pin. Many bloggers and marketers use the website URL or their logo to brand their pin. If you click on a stolen pin, the website the pin now links to will open, not the website from which the pin was taken. You don’t need to follow the account that’s stealing your pins to see the stolen pins. The reason for this is Pinterest’s smart feed. Pinterest adds pins to your feed they think you might like, and you get recommendations based on the images you’ve already pinned. If someone pins your pin image with a new link, there’s a good chance it will appear as a recommended pin in your feed because you’ve probably already pinned this image before. What Can You Do About Stolen Pins? By stealing pins that have already earned some Pinterest visibility, these thieves try to take a shortcut to marketing success at your expense. They’re breaking copyright rules and Pinterest’s terms, so naturally, it’s in your interest and Pinterest’s as well to do something about that. And luckily, you can and should. 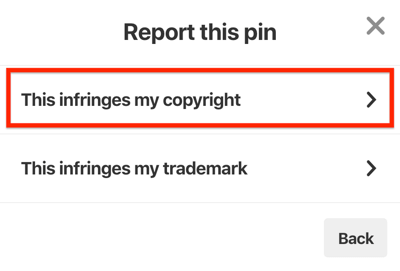 Here’s how to report a stolen pin that’s your intellectual property to Pinterest. First, open the stolen pin and click on the three dots at the top left of the pin image and select Report Pin. 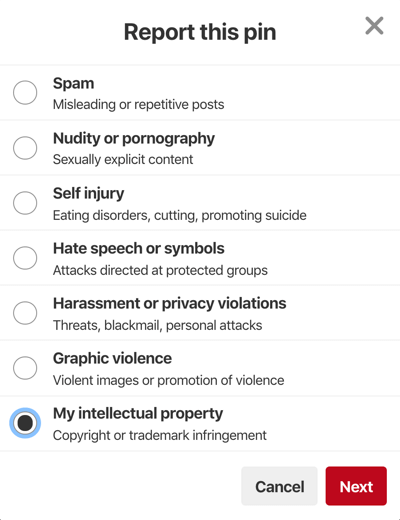 Now you see a list of things you can report. For stolen pins, you want to report a copyright infringement, so select My Intellectual Property. On the next page, you have to choose between copyright or trademark infringement. The stolen pin is a copyright infringement, so select This Infringes My Copyright. Now you have to fill out the Copyright Infringement Notification form that opens. First, enter your name and contact information. Next, you need to “prove” that this image is indeed yours. The easiest way to do that is if the image is still on your website and you can link to the article that features the image. It’s easy to prove the pin is your property if you branded the image. 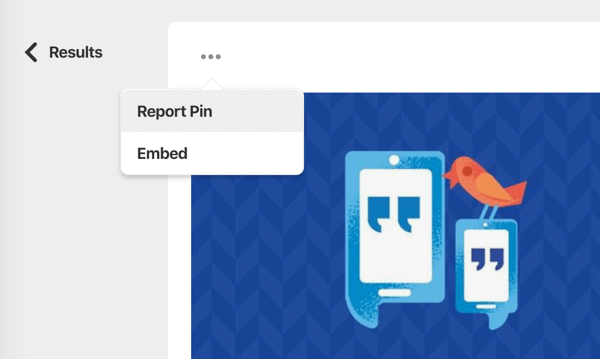 A branded pin also allows you to report pins that are no longer on your website, which might happen if you create a new pin design for an article and take down the old pin. You can brand your images with your website or blog URL, a name, or a logo. In all cases, it’s relatively easy for Pinterest to check if the image is indeed your property. On the copyright infringement form, the URL of the pin in question is prefilled. Below that, you have to make a choice: Do you want to have all instances of the pin in question removed? If you select Remove All, you tell Pinterest to remove all identical copies of the pin. Don’t check this option if you want to be sure that your original pin with the link to your website isn’t removed. If your pin is still new but already stolen, you might want to go the Remove All route. There’s one more important option you need to consider. You don’t want to have to keep on removing stolen pins in growing quantities; you want to get rid of the problem. That’s what the Strike option is for. It’s one of the most critical choices in your copyright infringement report. If users report and strike the same Pinterest account over and over again, Pinterest will terminate the account in question. Because the problem with stolen pins on Pinterest is growing, this is the only chance we have right now to stop these bad practices. If you don’t choose Strike, your pin will be removed, but the thief will go unscathed and most likely will keep stealing pins. Now confirm you’re the copyright owner for this image and the information you provided is accurate. Then sign the form and submit your report. Once you submit your copyright infringement notification, you’ll get a confirmation number. Then you just have to wait for Pinterest to respond. 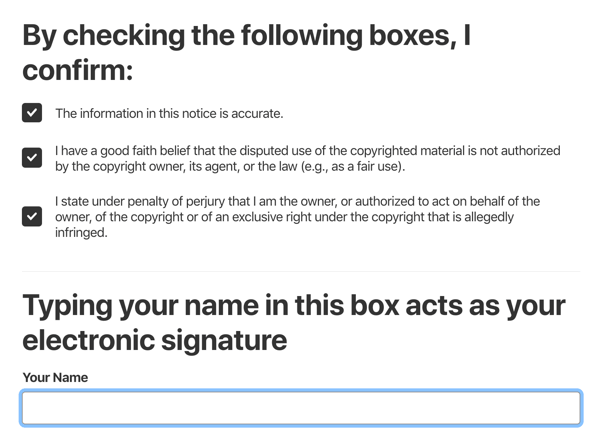 Typically, if your request is legitimate and you’ve submitted enough information for Pinterest to verify that the image is yours, you’ll get an email within a couple of days after submitting your copyright infringement notification. The pin you reported will get removed within a couple of hours. To check if the stolen pin is deleted, click the link to the pin in the email. If the pin has been removed, the link won’t lead anywhere. 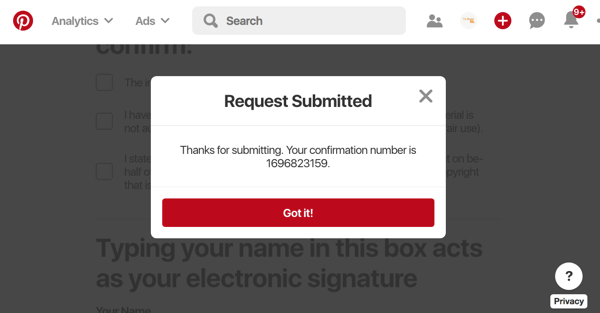 Pro Tip: If you have to report a large number of pins and want to track if the pins are taken down, add your confirmation numbers to a spreadsheet and check whether Pinterest has taken action in each case. 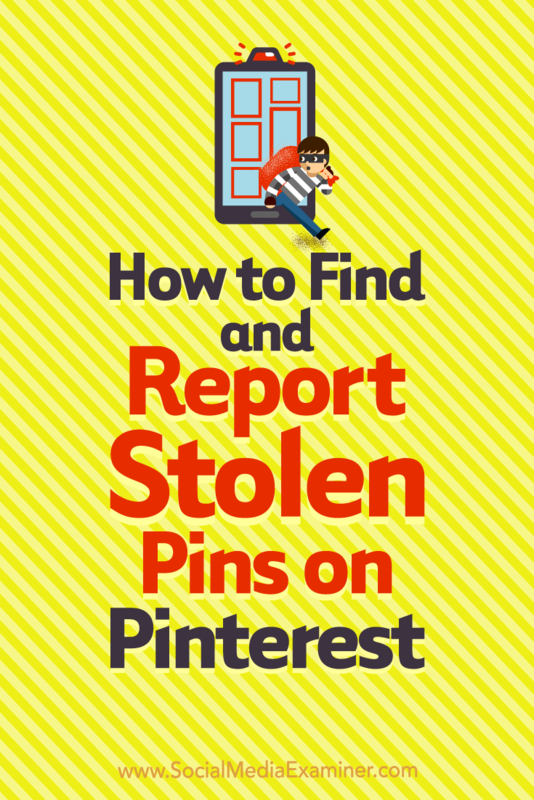 We all can spread the word about the problem of stolen pins on Pinterest. The more people who are aware of this problem, the more likely people won’t repin and spread these stolen pins. Unfortunately, you can’t report stolen pins from others you recognize; only the owner of the pin can report the stolen pin. But you can and should make sure you never repin a stolen pin. If you pin on Pinterest, check the content that’s linked to a pin. The best way to do that is to click through to the content from the pin. If the pin doesn’t lead you to the domain you expected, the pin is likely stolen. You can also check if a pin still links to the original source if the pin is branded with a logo, name, or URL. If the linked website that shows when you hover with the mouse over the pin doesn’t match the pin’s branding, the pin is probably stolen. Never repin a pin that doesn’t link where it’s supposed to. If more people report their stolen pins, hopefully either the stealing of pins will become too much of a nuisance to the thieves or Pinterest will come up with a better solution to this problem. What do you think? Do you ever come across pins that aren’t linking back to your website? 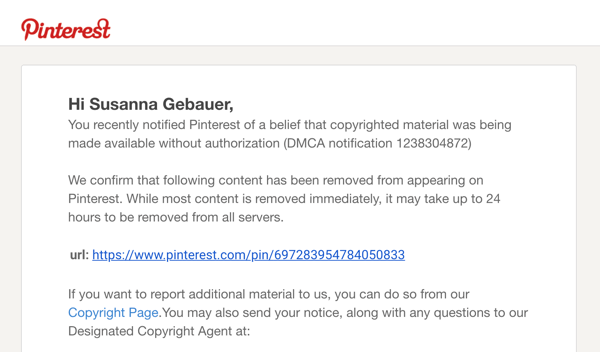 Have you filed copyright infringement reports with Pinterest? Please share your thoughts in the comments below. Learn how to file a DMCA takedown notice to protect your content from plagiarists and content scrapers. Find four steps to legally safeguard your blog content from copyright infringement. Susanna Gebauer is a marketing blogger at The Social Ms. She teaches bloggers and entrepreneurs how to grow their business on a small budget using online marketing.